In a case that grabbed international attention for highlighting the perceived injustices of the US judicial system Ethan Couch's parents settled with Sergio Molina for more than $1 million in cash, with the remainder of the amount to be deposited in a trust fund, AP reported. Molina, who has been in the hospital since last year’s accident, was riding in the bed of Couch's pickup truck on June 15, 2013, when Couch hit a stranded motorist and three people who had stopped to help her. All four were killed. Molina was thrown from the vehicle and is now paralyzed, only able to “smile and blink,” according to his parents. 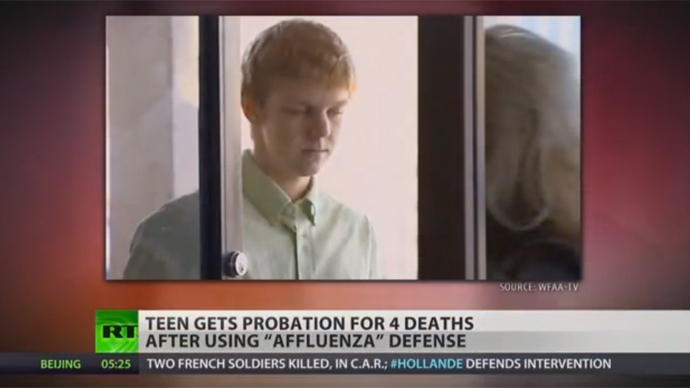 Public outcry ensued after Couch’s legal team argued that the teenager’s wealthy parents spoiled the then-16 year old into a sense of privilege without consequences, a condition which one defense witness called "affluenza." The court sided with the defense, sentencing the teen to just 10 years’ probation and a stint at an upscale rehab facility. 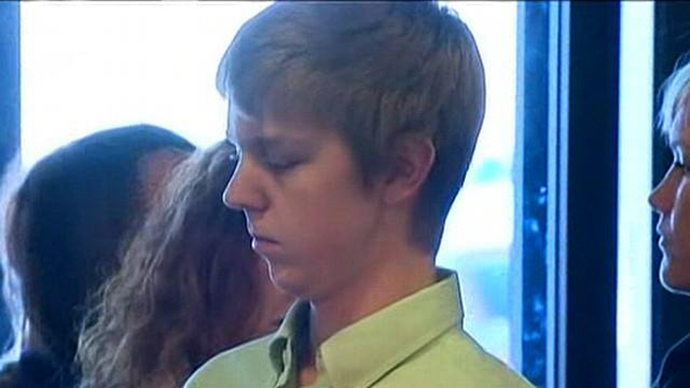 Prosecutors had been seeking a 20-year prison sentence for the teenager. Critics slammed the light sentence as yet more proof that the scales of justice in the United States are tipped in favor of the wealthy and influential who can afford the best legal representation money can buy. Molina’s older brother, Alexander Lemus, said his family was unsatisfied with the settlement. "We're not happy about it, but we just have to take what we got and strive for better days," he said Tuesday. Along with the cash payment, the Couches' liability insurer will make monthly payments of $1,515 and $1,837 into a special trust in the boy’s name starting in July, according to Tarrant County court documents. Another annuity was established to cover attorneys' fees. Molina's parents took Couch and his parents to court, with their lawyers arguing that Molina's medical expenses had exceeded $600,000 and that long-term medical assistance could cost them millions of dollars. Five other families of the injured or killed as a result of the accident have settled with the Couches, pending court approval, according to AP. Details of those cases have not been released to the public. 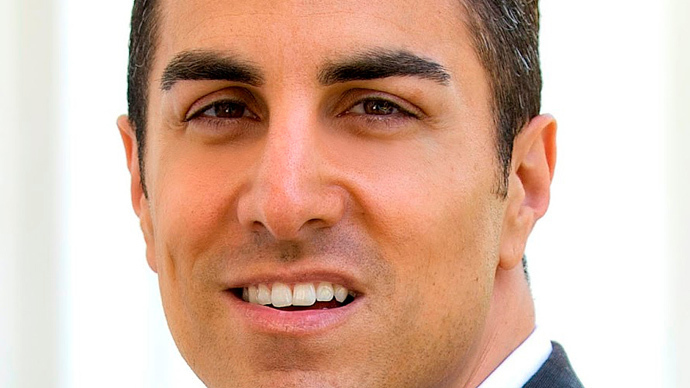 California legislator Mike Gatto introduced a bill that would have prevented "affluenza" from being used as a defense in court, however, lawmakers last month killed the legislation.